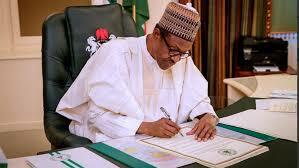 President Muhammmadu Buhari has announced that henceforth, June 12 will be celebrated as Nigeria's Democracy Day. “June 12 th, 1993 was the day when Nigerians in millions expressed their democratic will in what was undisputedly the freest, fairest and most peaceful elections since our Independence. The fact that the outcome of that election was not upheld by the then military Government does not distract from the democratic credentials of that process.